The solution, based on a network of specialized sensors, analysis and prediction algorithms and a control panel created by Engineering D.HUB, in collaboration with Italian partners of reference for IoT and LoRa networks (Auroras and Fasternet), was installed in Maison Anselmet's vineyards in spring and in just a few months – thanks to the fundamental collaboration of Giorgio and Renato Anselmet in the development of data query systems – the results achieved have been extraordinary. Giorgio Anselmet added: "The number of treatments has been reduced by 50%, from eight to four, also thanks to the fact that those carried out have been planned according to the most suitable soil conditions, with the most correct level of temperature and humidity detected by sensors". Quality control was supported by precise monitoring of the brightness and irradiation of ultraviolet rays, which is essential for red wines, and of thermal excursion, which is decisive for white wines, providing valuable indications also for planning precise points of the vineyard in which to consider production of individual wines, up to the plantation itself of different vines. Giorgio Anselmet concluded: "Last but not least, thanks to the possibility of determining water supply and management with specific objectives, in our specific case we only carried out one irrigation during the foliation period, deliberately depriving the plant of water in order to encourage the re-growth of roots in search of water resources. This allowed us to achieve the specific objective of giving greater intensity to the aromas and fragrances of the final product". Thanks to the intensity of the color of leaves captured by images taken by drones, it will soon be possible to determine the quantity of chlorophyll and the state of health and maturity of the plant, enabling identification of the best time for harvesting. Faithful to its mission to allow any type of company to take advantage of the benefits that digital transformation can generate, and moving in an ecosystem of open technologies integrated with the most advanced data collection and interpretation tools, Engineering makes the expertise developed at international level available to the agri-food sector; it offers control and planning tools that make it possible to maintain and increase product quality, as well as free up the time of entrepreneurs, allowing them to focus increasingly on the company's differentiation and growth strategies. relations with the Public Administration, aimed at accessing and collecting national and European funds for agriculture, as well as managing obligations required by the company. Engineering, the only player able to cover the entire production and management cycle of a farm with a single integrated solution, aims to simplify the extreme complexity inherent in an activity subject to many variables. Francesco Bonfiglio, CEO of Engineering D.HUB, stressed: "What was presented today is an excellent example of the great appeal of what I like to call returning digital literacy, which allows those who are not digital natives, or do not use technology as a daily work tool, to immediately rediscover the enormous benefits that digitization offers. Our approach is to generate value, efficiency and quality through last generation technologies, supporting agricultural entrepreneurs in each daily choice and offering our vision and international experience for answering their questions. For over a decade we have witnessed a trend that has seen technology producing a phenomenon of detachment from the real world in favor of an unhealthy immersion in the virtual one. I like highlighting how, starting from agriculture, in which the relationship between man and environment is closer and healthier, time has come to promote the opposite phenomenon. A phenomenon in which digital information generated by sensors, IoT applications and data analytics, brings man closer to the environment and nature, strengthening a healthier and more constructive relationship". From a broader system point of view, Engineering's SMARTAGRICULTURE solution is a tool for contributing to the country's competitiveness in a highly strategic and vital sector for which relying on technology able to reduce the impact of events and third-party factors is vital. In fact, as recorded by Coldiretti in May last year, in 2017 the agricultural sector recorded a decrease in value added to GDP of 4.4%, amounting to around 28 billion euro (compared with 31.5 the previous year), mainly due to climate change and related effects. But the adoption of technological solutions that help counteract and control these sudden changes is still in its infancy, and only 2% of Italy's agricultural area uses robots and sensors for precision agriculture. On the other hand, in China, Israel and the USA, deployment of these technologies already ranges between 40 and 70%, while a rapid increase is occurring in Brazil, Argentina, India and Malaysia. It is therefore clear that in order to maintain competitiveness, Italy cannot and must not fall behind in the adoption of solutions that increase efficiency, productivity and respect for the environment, especially in the face of a population that is estimated will reach 9 billion people in 2050, requiring a significant increase in agricultural production. Thanks to its international dimension, which places Engineering as leader in many European research projects through the Engineering D.HUB subsidiary, the Group also participates in the AGRIWARE consortium which is competing for the European “Agricultural digital integration platforms” (DT-ICT-08-2019) tender; this is a research and innovation proposal for digitization in the agricultural sector with the aim of creating strong connections among digital platforms for agriculture in order to face and facilitate solution of the main problems of European rural regions, which constitute an important and delicate ecosystem that has to be managed and safeguarded through dedicated strategies. 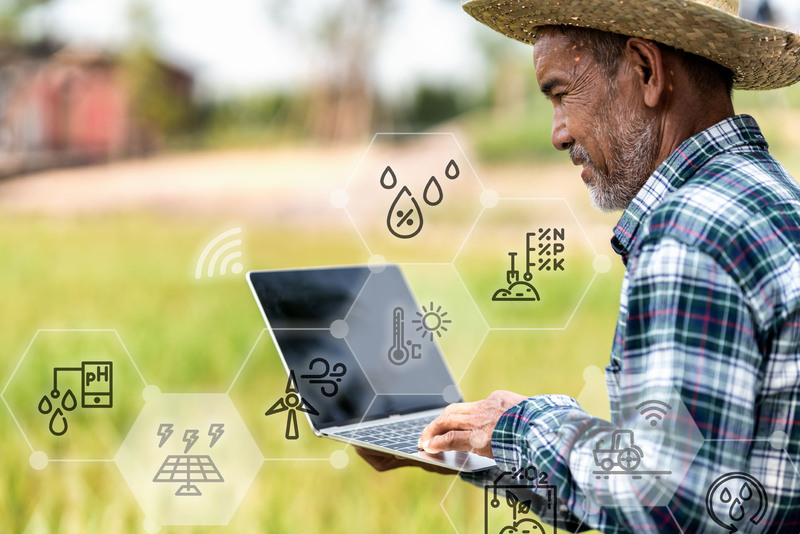 The creation of an interoperability platform will make it possible to fully exploit the potential of open data, artificial intelligence and machine learning, thus offering unprecedented opportunities for the exchange of knowledge, experience and negotiations for the benefit of the wide range of end users, in particular of farmers. The resulting benefits have strong social, ecological and economic implications. The central component of the proposal is implementation of large-scale transnational pilot projects, in order to ensure that the project objectives are adapted to the different needs and are beneficial for conventional, organic and intensive agriculture with wide geographical coverage throughout Europe. The pilots include several farms covering three main agricultural sectors (arable, livestock and fruit) and several sub-sectors (wheat, rice, cattle, pig, sheep, goats, and table and wine grapes). The results generated by partnership with Maison Anselmet, a historical Valdostan winery that has made the constant search for balance between innovation and tradition its distinctive quality. 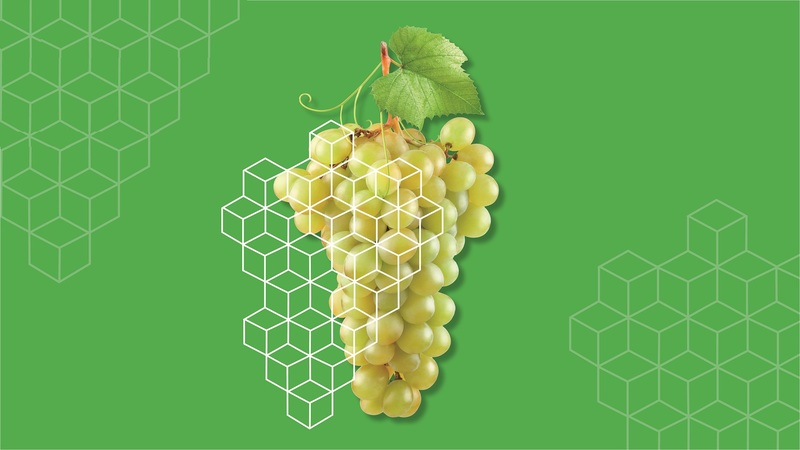 Engineering, one of the leading global companies specializing in services, software development and digital platforms to accompany both public and private companies through Digital Transformation, presents its solution for Smart Agriculture through the results achieved in partnership with the historic Maison Anselmet winery. The Engineering Group, which has always been at the forefront in defining applications of the most advanced frontier technologies and resulting management processes, operates in the precision agriculture market with the structured and organic approach that distinguishes it. It is guided by its strength in research in which it invests 40 million euro a year, and is able to bring all the positive effects of technological development into the physical world by combining the multiple components that it knows and governs. The solution exploits the opportunities generated by sensors and the ability to read and interpret collected data for supporting agricultural entrepreneurs in all decision-making processes: in choices for optimizing production, reducing treatments in order to limit environmental impact and costs, controlling the implications of climate change to the greatest extent possible, and much more. All while consolidating the guarantee of highest levels of product quality. Engineering has worked with the support of Maison Anselmet, a partner in which it has identified the main essential characteristics of the companies to which the solution is addressed: a company that has dedicated itself to quality wine production for generations, which has made the search for constant balance between innovation and tradition its distinctive character, and which aims to trace new paths of evolution through protection of the environment. Giorgio Anselmet, head of Maison Anselmet, said: "Working alongside a large technological and international group like Engineering has allowed us to submit the many daily questions that arise in the management of a vineyard to the most advanced technologies, and to receive precise, useful and valuable answers, then translated into very advantageous choices for us and for the environment. It has been a fundamental experience and I believe that an approach of this type – if adopted by the whole territory – could generate exponentially amplified results in terms of reducing the environmental impact generated by treatments, for example, as well as significantly increasing the quality of our products thanks to the sharing of information collected over the entire territory. From this point of view, I believe that the incentive and support of institutions in the adoption by companies of smart agriculture solutions could significantly accelerate the achievement of these results".